Does Zyppah Have Any Side Effects? ZYPPAH is only suitable for tongue-based and mouth snorers. It is not recommended for nasal snorers, individuals who wear dentures, and snorers who have missing teeth or fresh dental implants. It should not be worn by individuals with sleep apnea unless approved by a medical professional. Common side effects include excess salivation, jaw soreness, and sore gums. When discussing anti-snoring technology, you are almost always going to come back to three primary components: anti-snoring pillows, anti-snoring jaw straps, and anti-snoring mouthpieces. Today, we are going to take a close look at Zyppah, one of the more highly touted anti-snoring mouthpiece products available on the Internet. 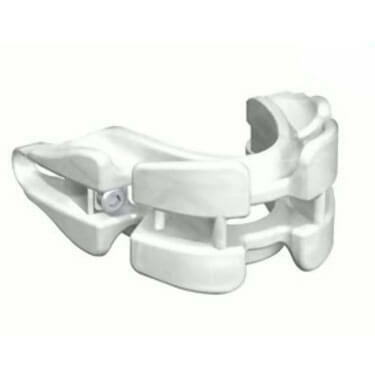 Considered a mandibular advancement device (MAD), Zyppah brings a lot to the table. With that being said, no anti-snoring product is perfect so we are going to inspect the device in great detail in order to find out whether or not Zyppah does the job. If you struggle with snoring and are looking for a new product to try, keep on reading our Zyppah review – we might have the right product for you. When looking for anti-snoring products, sometimes you have to hope that something sticks out in the crowd. There are so many different oral anti-snoring products available that they can all start to blend together. Fortunately for us, Zyppah definitely stands out. The strong green-and-black design is immediately eye-catching and it hints that the product might be bringing something truly unique to the table. With that being said, rarely should we judge a product based on its appearance. Let’s first walk you through a detailed overview regarding exactly what Zyppah is and why it does the things that it does. Let’s first start by examining the company that created the device as well as their core mission statement. The Zyppah anti-snoring mouthpiece was designed in a lab by Dr. Jonathan Greenburg. Dr. Greenburg prides himself on creating a hybrid approach to treating snoring by way of an oral device. Zyppah is the culmination of all of his work in a laboratory trying and crafting the perfect anti-snoring device. Sounds pretty good, right? It actually is. Zyppah is an anti-snoring mouthpiece that you put in your mouth when you go to sleep. Once inside of your mouth, it goes to work doing a number of different things in order to help you approach your problematic snoring issue. While there are many different mouthpieces on the market, specifically for anti-snoring properties, very few do exactly what Zyppah does thanks to Dr. Greenburg’s advanced approach during the manufacturing process. We’ll get more into the advanced details later on in our Zyppah review. Zyppah is an oral anti-snoring device. However, there are literally hundreds of different oral anti-snoring mouthpieces on the marketplace. What makes Zyppah special? How does this thing even work? While you are probably impressed by the sleek design and eye-catching color scheme of the product, there is actually much more going on underneath the surface of this uniquely designed little device. When you sleep at night, your body completely relaxes. During rest, your muscles relax and your body recovers. However, in some people, this relaxation causes their tongue to roll back and collapse toward their throat. When this happens, your airway is blocked and you have what is known as a partial obstruction. During this period of time, the soft tissue inside of your throat comes close together, sometimes coming close enough to allow your soft palate and uvula to touch. When this touching occurs, vibrations are produced, creating the snoring sound that we have all grown to hate. This vibration is problematic because it causes snoring which hurts your rest and impacts the people around you. Zyppah works to combat the root cause of snoring in two different ways: it attacks your jaw placement as well as where your tongue is resting. Most oral mouthpieces for anti-snoring purposes are solely focused on addressing your jaw placement. While it makes sense that the majority of MADs focus on your jaw, Zyppah puts itself ahead of competitors by introducing a new twist on anti-snoring technology, which we will get into later on in our review. To keep things simple, before diving into the more detailed aspects of our Zyppah review, the Zyppah mouthpiece works to keep your jaw held forward and your tongue fixed in a specific spot. When this happens, the tissues in your throat cannot touch and no vibrating sounds are produced. In essence, Zyppah works to completely remove the mechanics of snoring from the equation. Tongue Stabilization Technology – Zyppah relies on patent-pending technology in order to help hold and stabilize your tongue while you sleep. As we stressed above, when your tongue falls back toward your throat, the results can lead directly to snoring. That’s not ideal. The Zyppah features an elastic band that stretches from one side of the mouthguard to the next. This band helps to keep your tongue rooted in a certain position. No other anti-snoring mouthpieces have this feature. Mandibular Repositioning – Dr. Greenburg has pioneered the hybrid oral appliance through his work with the mandibular advancement method. This is the technology that the majority of anti-snoring mouthpieces try to emulate, with varying degrees of success. Mandibular advancement involves keeping your jaw pushed forward. By doing this, Zyppah allows you to receive improved airflow. Improved airflow means that your snoring will be directly reduced. We should point out that Zyppah is the only dual action anti-snoring mouthpiece on the open market today. Other products of a similar design are locked behind doctor prescriptions. This proves that Zyppah is one of the heavier hitting products when it comes to dealing with your snoring. Dr. Greenburg and the Zyppah team have done a couple of really interesting things during the developmental process of their Zyppah product. What makes Zyppah markedly different from competing products is that it attacks your snoring problem in two distinctive ways. By approaching your snoring problem from two positions, you are more likely to find success in actually treating the snoring issue. Of course, Zyppah is also unique due to its creative design and comfortable fitting process, which we will delve into later on in our Zyppah review. While Zyppah does several things in an entirely new way, the core of the product is still similar to other anti-snoring mouthpieces. As a boil-and-bite product, you are going to be able to custom fit the Zyppah to your exact mouth. Knowing that no two mouths are exactly the same, it is important to take time in order to get your Zyppah properly fitted. When your Zyppah is improperly fitted, you run the risk of actively hurting your ability to address your snoring problems. Let’s walk you through the simple process of custom fitting your Zyppah for nightly use. Once you’ve collected all of these items, begin following the fitting guide that we have crafted for your use. Start the fitting process by rinsing off your Zyppah with warm water. Next, place Zyppah into your mouth in order to get a feel for how the product will sit. Set your Zyppah aside and begin boiling a kettle of water. You want this water to be fully boiling, not just warm. While your water is boiling, pour some ice or cold water into one of your bowls. Once your water is boiling, you can transfer the water to your second (heatproof) bowl. DO NOT place your Zyppah into the kettle of boiling water, as that can potentially ruin the device. Now, use the tongs to place your Zyppah into the bowl of boiled water. Make sure that Zyppah stays completely submerged for roughly 60 seconds. Using your tongs, remove Zyppah and allow it to cool roughly 20 seconds. Now, step in front of your mirror with your Zyppah in your hands. Make sure that Zyppah is facing the right direction with the label located on the bottom lip section of the device. Place Zyppah into your mouth, focusing on lining up your lower teeth first. With your lower teeth aligned, push your jaw out until your upper teeth are placed against the proper portion of the top tray. Now, bite down on Zyppah and hold the position for an entire minute. Do not move your jaw. Let your teeth sink into the device, they should go fairly deep into the material. Take Zyppah out of your mouth and put it in your bowl of ice for a good minute in order to let it cool down and solidify the bite. Finally, remove Zyppah from the ice and put it back into your mouth to ensure that the product fits you correctly. If all goes well, you are done. If you find that your Zyppah doesn’t feel right in your mouth after you have gone through the entire fitting process, you need to start back over from the beginning. Making sure that you have the correct ‘fit’ is integral to the device actually functioning as needed. An improper fit can hurt your jaw and prevent the mouthpiece from actually working the way that it is supposed to. You can do the boil and bite method at least two or three times before durability becomes an issue with Zyppah. Snoring is a problem that has plagued a portion of humanity forever. Snoring is more than just an inconvenience for people sleeping in the room with a snorer, it can actually be a health threat and a problem within relationships. The reason people look to products like Zyppah or other mandibular advancement devices is simple, they want something that will help them treat their snoring forever. Does the Zyppah actually work to stop snoring? Dr. Greenburg approached building Zyppah in a different way than many of his competitors. Instead of simply focusing on jaw alignment, Dr. Greenburg made sure to incorporate the tongue in his problem-solving process. When you snore, it is because your body is signaling something of an alarm: you aren’t getting enough oxygen to your brain. As a result, you struggle to breathe correctly, which creates snoring. The snoring that is now plaguing you also will impact the quantity and quality of your sleep. All told, this is not a good situation. As we highlighted earlier on in our Zyppah review, snoring is created due to muscle relaxation in and around your throat. When your tongue falls backward, you create a situation that is conducive to snoring. Zyppah seeks to use a dual-pronged approach to fixing your snoring problems. It works to bring your jaw forward, like any other mandibular advancement device, but that’s not all. 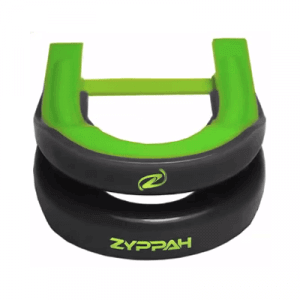 Zyppah also works to keep your tongue in place thanks to a tongue-elastic device. Dr. Greenburg, a former dentist and biomedical engineer, created what he calls the ‘seat belt’ for your tongue. This small green band keeps your tongue from falling back into your throat – something no other mandibular advancement device has attempted to do. This patent-pending technology makes Zyppah truly effective in treating your snoring problems. While there is no one-size-fits-all approach to snoring, Zyppah works in multiple ways to help alleviate the physical triggers that cause snoring in individuals. If you struggle with snoring, the odds are good that Zyppah will be able to help alleviate the problem. While snoring is one of the most common sleeping-related problems, sleep apnea is a close second. Sleep apnea – sometimes referred to by the acronym OSA – is a serious condition that can lead to chronic fatigue issues and even death. With sleep apnea, you will occasionally struggle with an obstructed pathway. While snoring is one of the signs of sleep apnea, Zyppah was, unfortunately, not designed to address this potentially serious condition. If you struggle with sleep apnea, your first course of action should involve sitting down for a consultation with a medical professional. Sleep apnea is not a problem that you should face alone. After consulting a medical professional, it is completely possible that you’ll be pushed toward picking up a mandibular advancement device in any event, which means that the Zyppah might still be in your future. Like all products used orally, there may be some side effects with mandibular advancement devices. While Zyppah is a safe device to use on a nightly basis, there may still be a few routine issues that can pop up in a certain segment of the snoring population. Let’s briefly outline a few of the most common side effects related to using a sleeping mouthpiece like Zyppah. Mouth Dryness – Having Zyppah in your mouth overnight can occasionally lead to mouth dryness. In order to combat this potential side effect, make sure that your Zyppah is properly fitted to your mouth. Gum & Jaw Soreness – Any time that you sleep with something in your mouth, you might have to deal with some lingering fatigue or soreness. While a properly fitted Zyppah will reduce your potential for gum and jaw soreness, the problem still may manifest itself in some customers. Temporomandibular Joint Disorder – When using an oral anti-snoring device, you are relying on the product to shift your jaw into the forward position. Frequent use of a mandibular advancement device can potentially cause minor TMJ pain or discomfort. As we said before, Zyppah is a product that was designed for safety and effectiveness. Side effects are possible with any products, including Zyppah, but they are not the norm. Following proper usage protocol while paying attention to your body can lead to a reduction in the prevalence of side effects. Essentially, just make smart decisions when using Zyppah and you will likely be fine. Zyppah is manufactured in the United States and has been cleared by the United States FDA. Zyppah was designed to be the final solution to all of your snoring problems. It is ideal for people who suffer from chronic snoring or for people who have a significant other with a snoring issue. The mouthpiece is easy to use, comfortable to wear, and effective in treating snoring. 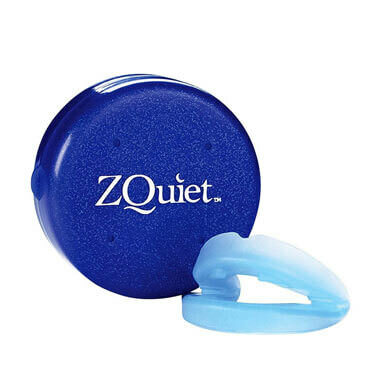 There are so many different anti-snoring products available on the marketplace today that finding something like the Zyppah can be like striking gold. If you struggle with any level of snoring, Zyppah can solve your problems. However, as we have pointed out above, it should not be bought by people with sleep apnea. If you have sleep apnea, Zyppah will not treat your problem and can even exacerbate your core issues. If you are unsure as to whether your snoring is related to sleep apnea or not, consult with a physician. Your physician will be able to guide you to the right information that you need in order to make a safe and informed decision. Outside of sleep apnea, the Zyppah is also not recommended for individuals who wear complete sets of dentures, have missing teeth or have fresh dental implants. One or two missing teeth are fine and dental implants that have been installed for more than a year are also fine. Make sure you pay attention to your mouth so that you can make certain that Zyppah is the right product for you. Compliments – Zyppah routinely scored high marks from an aesthetic perspective. It was regarded as one of the more attractive anti-snoring mouth guards on the Internet. Customers seemed to really enjoy the dual-action approach to solving snoring, citing the tongue ‘seat belt’ as one of the better aspects of the product. The majority of customers that used Zyppah saw a reduction in the severity and frequency of their snoring. Additionally, the vast majority of customers did not experience any side effects while using the device. Customers also liked that Zyppah was American-made and manufactured within the United States. Finally, most customers seemed satisfied with the price of the product, which we will detail here shortly. Complaints – One of the primary complaints about Zyppah was that the product could not be used if you had a full set of dentures. Additionally, customers with implants were told to wait almost a year after their implants were installed before using Zyppah. Finally, some customers complained that Zyppah was not uniquely adjustable like other options on the marketplace. Zyppah received largely positive feedback from the vast majority of customers and the few complaints that were prevalent all focused on minor issues. Hopefully, this means that Zyppah can be the solution that you are looking for in relation to your own snoring problems. If you want to address your snoring problems with Zyppah, you can order the product online. ZYPPAH ORIGINAL typically runs for $125.85 but is routinely on sale for $99.95. Zyppah also runs several different specials throughout the year in order to make their product more affordable for their customers. The manufactures of the Zyppah offer a 90-day money-back guarantee for customers who are dissatisfied with the product. Additionally, Zyppah offers extended return periods for customers who want to experiment with the product, culminating in an additional 90 days for a total of 180-days of free testing. It appears that the Zyppah team is focused on making sure that their customers come away with a product that works for them. If you are still unsure if ZYPPAH is right for you, check out the key advantages and flaws of this snoring aid. When we look at anti-snoring devices, we are mostly interested in finding a product that actually works. 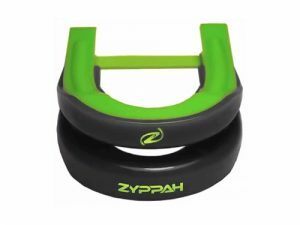 Zyppah’s special design, which leans on a dual-pronged approach, is unique in comparison to the rest of the mandibular advancement device field. 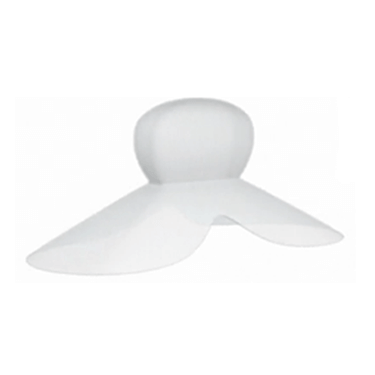 We appreciate the product’s sporty design and the way that it relies on real technology to approach curing snoring. Still, Zyppah does have a few drawbacks. The minor side effects can be annoying if you are one of the few people impacted by them. The heightened price point can be a struggle for some people to pay, especially when so many other cheaper MADs are available. Ultimately, however, Zyppah does what it says it does: it treats your snoring in an effective and efficient way. If you want a product that can address your snoring problems, the Zyppah anti-snoring mouthpiece may be the right device for you. Our ratings are the result of an objective and independent evaluation of ZYPPAH, generating the final rating that reflects the overall quality of the company. Ratings may change as the product introduces changes. ZYPPAH user rating based on 10 user reviews. Zyppah is just a godsend! It helped me almost completely eliminate my snoring problem and I was really glad to see a product that was 100% made in the US. I listened to that damn commercial for over a year. My wife bought a bunch of different products to no avail. She once asked "have you heard that obnoxious Zyppah commercial?". Indeed and I thought it was a scam. I saw a report on NBC (I think) where it was the only device that worked. Still dubious, I thought, Let's try it because it has a guarantee. WOW! Not only did it stop my snoring (ask my wife), it also resulted in me waking up with energy I thought I lost due to my age. I'm sold and I am a scientist and a natural skeptic. This product works and it works well. Zyppah has actually done the trick for me. I wasn’t optimistic when I first tried it because I used other aids that didn’t have the desired effect but it really helped me. I had some problems getting used to wearing it but everything is fine now. Kudos for the design. My jaw really hurt when I started using zyppah. I don’t know how it was for others, but I literally felt like I was wearing braces again. The pain stopped after a week or so and I can’t say I’m not satisfied. The results are there but I can’t seem to get used to wearing it all night. Zyppah has helped me a lot. My snoring is practically nonexistent but I started drooling in my sleep. Though I like the design, this snoring aid didn’t solve my problem. My snoring is quieter now but it’s still very much there. I like the color, but getting used to this aid is so difficult. I’m doing that program that I got, where you wear the aid as often as you can, but I just expected it to be a bit easier. Your product is the best one I have ever tried and for that, both I and my wife thank you! Seriously, I stopped snoring the same day I used it for the first time – it was a bit uncomfortable but the soreness is definitely worth it. It sounded promising but it didn’t help me – the only thing that was different was that my jaw hurt like hell in the morning. We found 0 verified ZYPPAH discounts for April, 2019. With our collection of ZYPPAH guides, you can have expert assistance every step of the way. We bring you all the key information you need to know before and after you purchase ZYPPAH, covering everything from ZYPPAH effectiveness, proper use and maintenance, and suitability for different types of snorers to cost and refund policy. Our collection of ZYPPAH guides is constantly expanded, so be sure to check back for more useful tips and instructions. Zyppah And Sleep Apnea - which allows you to find out whether this popular anti-snoring device can be used for treating obstructive sleep apnea. In order to be sure that ZYPPAH truly is the best solution for your snoring troubles, you need to know what makes it superior or inferior to its alternatives. Discover how ZYPPAH compares to other popular snoring aids of its kind with our detailed feature and price comparisons and easily determine whether you are making the right choice.